Start Omniscope and enter your license. 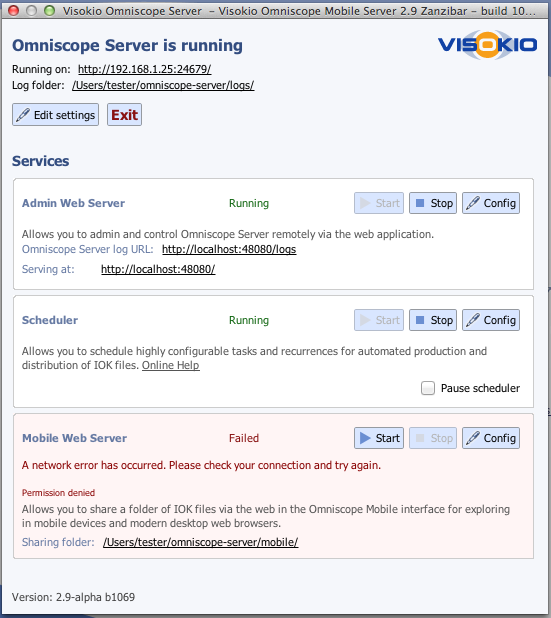 Omniscope will prompt to restart once the license has been authorised. The Settings Server menu will only show menu items once a valid server license has been authorized. 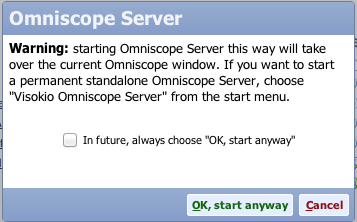 Select the Settings menu, select Server, select "Omniscope Server ..."
A warning message will be displayed saying that the Omniscope Server will take over the current Omniscope Window, select "OK, start anyway"
The Omniscope Server window will be displayed. Mobile Web server will display a network error as it cannot use port 80 unless run as root. 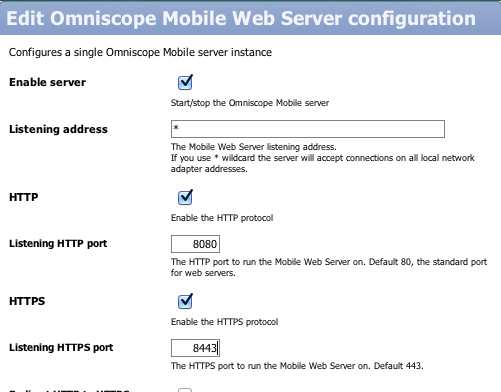 Change the Mobile Web server ports for http to 8080 and https to 8443 by selecting Config. 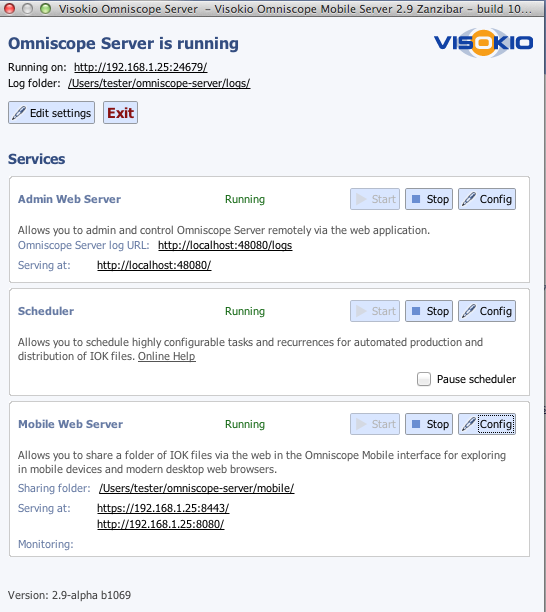 Omniscope Server is now running. 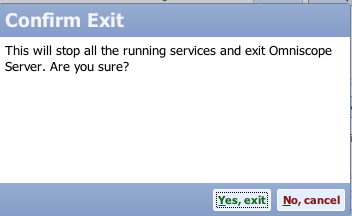 Select Exit to exit the server. The following two command files will allow you to start Omniscope server directly, the first command file will run the server with the server control window GUI, the second command file will run the server without a control window.